High, steep rock faces and a deep gorge − follow the course of the glacier water. 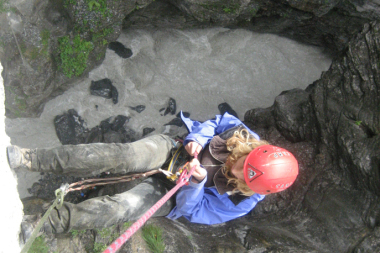 Impressive canyon ascent with flying fox, abseiling and via ferrata (no canyoning). The Linth (the river, not the chocolate ☺) meanders through deeply cut, steep rock faces. After entering the gorge where you will also abseil for the first time, we will follow the river down the valley. Hanging from the rope pulley, you will whizz across the river, above the roaring glacier water (it's almost like flying, only better). You will climb up and down the rocks, cross steep rock faces and be roped down overhanging rock walls by the mountain guide − always secured on wire ropes. We will enjoy breaks at nice spots or natural terraces where you will be able to take the ultimate souvenir photo. And, the best thing about it: this memorable experience in beautiful nature is only a 30 minute brisk walk from the starting point! You do not use the creek to cross the gorge, you wil always remain secure on and above the water. Have you always wanted to walk along a real mountain gorge but don't want to get your feet wet? Then you will enjoy this adventure. Book this unforgettable experience. This is definitely not your usual group event but, if you do decide to do this activity, you and your team will enjoy a genuine, memorable mountain experience. Our top qualified mountain experts (mountain guides with Swiss diploma) will ensure you are best guided, secured and supervised at all times! 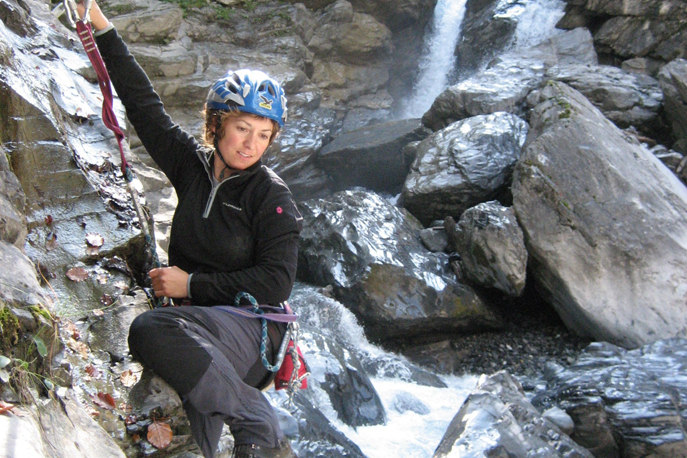 Belts/harnesses etc, helmet, supervision by qualified mountain guide and eventerlebnis guides. This can also be booked as a full / half day event. If you are hungry after all this adventure, we know a great spot for a BBQ and the region also has several nice inns. 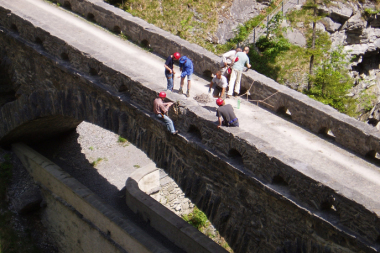 With groups of 12 or more you can also enjoy abseiling in the Linth gorge from the Panten bridge. Outdoor clothing (old clothing, nothing new or too smart! ), sturdy shoes (no trainers), pullover, rain/waterproof jacket, hat and gloves (may get cold, also in the shade), small rucksack, snacks/drinks.